I am often asked by those newer to the sport or those thinking about entering their first powerlifting competition – what do the competition lifts look like? There are many forms and variations of the powerlifts in the gym and they want to know if their gym lift would count in a competition? I also get questions about the rules and what one can and can’t do in a competition. The point of this article series is to make it very clear what the competition standards are for each lift, along with the key rules. To be blunt, a seasoned veteran won’t get much out of this series of articles (I will do one article for each competitive lift) but those same lifters are often the ones that are asked this very question. It is my hope they share the information with any of the newer, up-and-coming lifters they know. A powerlifting competition always starts with the squat, then the bench press, and then the deadlift. If a strict curl is contested it is usually done after the bench or after the deadlift. If you want more information and you want to be fully prepared when it comes to be competition day, read on. Bar is Loaded – this means the bar with the proper weight has been loaded and is ready for the lifter. When the Bar is Loaded for you, it means you have 1 minute from the time of that announcement to walk on the platform and begin your lift. Generally when a lifter is “In the Hole” they begin to mentally prep themselves for the event and they will start to put on any powerlifting equipment such as a belt or wrist wraps that they will wear in the event. Once the Bar is Loaded command is given, you will walk up to the bar and take your grip. Get your feet set and then lift the bar off and walk it out and assume your squat stance. Wait for the Command. It is allowable (although not desirable) to take as many steps as you want in the walkout. Good lifters will complete their walkout in 2-4 steps, the heavier the weight the more important this becomes. Once you are motionless and appear to be comfortable (many give the head judge a slight nod with their head) the head judge will give the “Squat!” Command and will motion downward with his hand. There is NO Up Command, once you hit desired depth stand back up. Once you are motionless at the top of the lift the head judge will give you the “Rack!” Command, at which point you take a step forward. Once you take a step forward the spotters can help you replace the weight in the rack and the lift is effectively over. 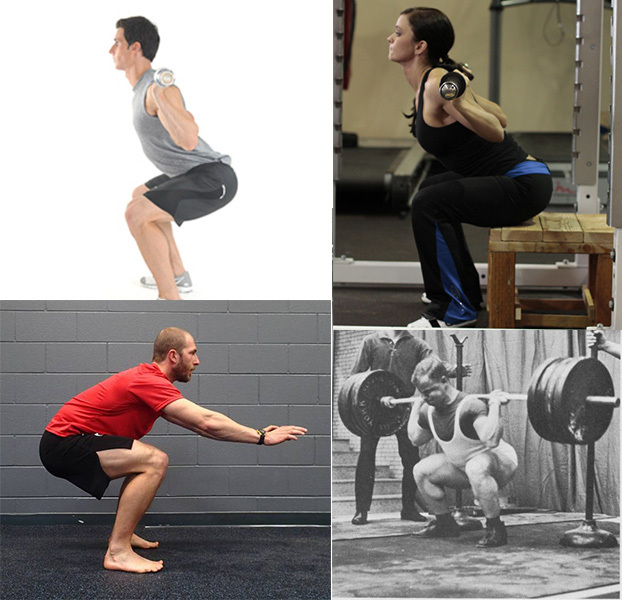 By far the biggest issue is lifters not hitting proper squat depth. This is best viewed from the side and the rule is the top of the thigh must be higher than the crease of the hip. The simplest explanation I have heard is if you put a marble on the top of the musculature of the thigh near the knee when the lifter was at the bottom of the squat, would the marble roll toward the knee or toward the hip? If it would roll toward the hip, it is a good lift. If it would roll toward the knee, it is not. 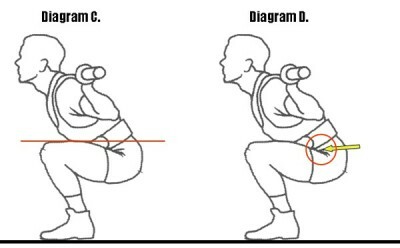 Here are two examples of a squat that is very borderline, it might get reds or it might get whites. 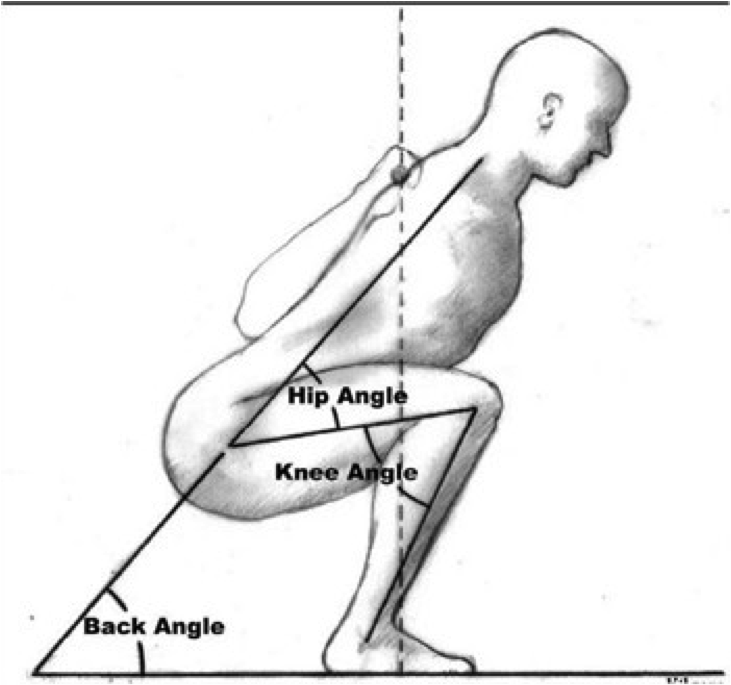 In general you do not want to squat to this depth because now you are leaving the decision in the hands of the judges. If you can avoid those 3 pitfalls you will be well on your way to the start of a successful and enjoyable powerlifting journey. A really nice and detailed article.